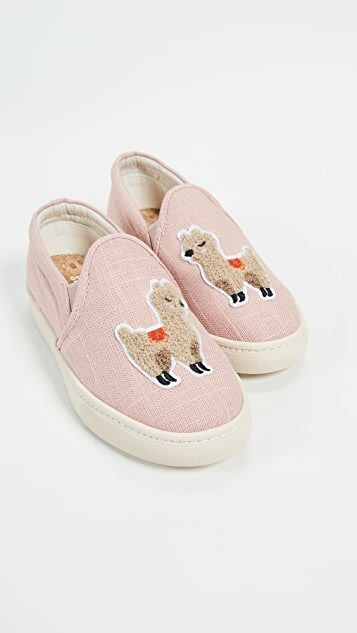 You might have slip-on sneakers that you love, but we bet that they don't have llamas on them, like these Soludos sneakers do! 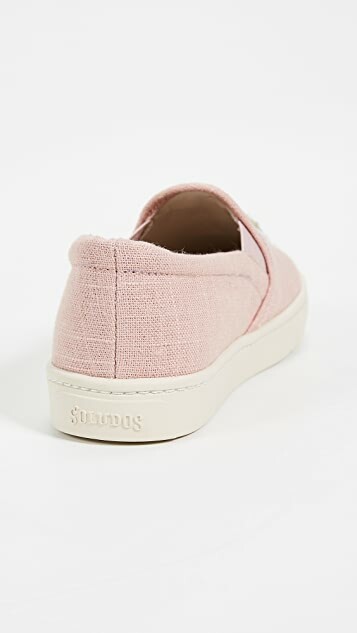 It might be time for some new kicks, right? 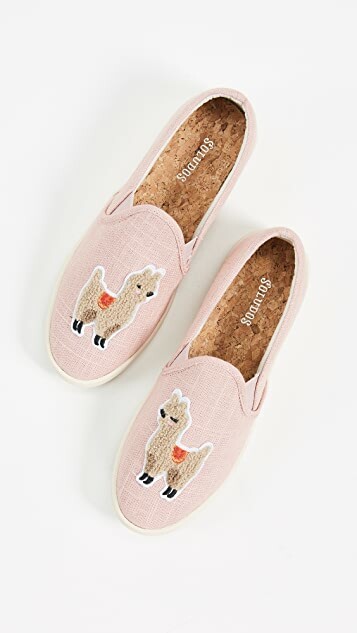 Have been eyeing this pair for a while and decided to order it when it was restocked. 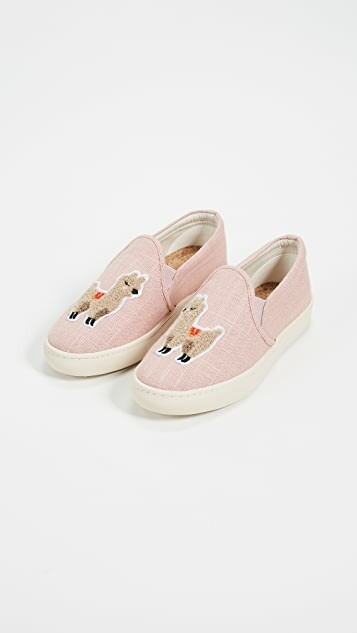 The llamas are really cute but the trainers were too large, even when I ordered my usual size 8 for Soludos. 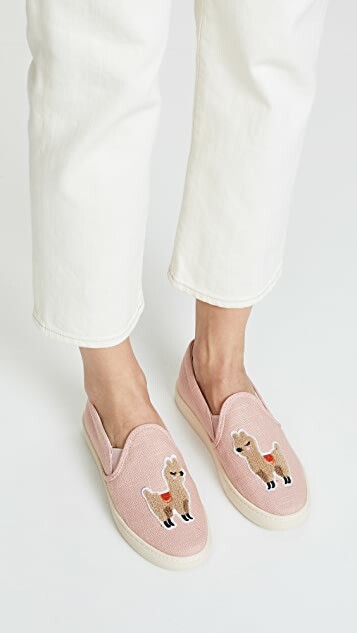 Won't be able to return them because of the shipping cost.